Ann Arbor MI is not a stranger to the cold weather. With heavy snow showers and icy roads, the snow plow becomes essential with winter culture up in Michigan. There are two choices when considering a snow plow. Should I plow? or should I hire someone? These two questions are critical and must be decided quickly as the deadly Michigan winters approach the city of Ann Arbor. For a fast response, the benefits of hiring a snow plowing company are even more beneficial than doing it yourself. For the purposes of removing snow as well as de-icing in the cold wintery city of Ann Arbor MI, local snow plowing companies are the best option. From homeowners, to local businesses, snow plows are crucial to living keeping the normal daily routine. Places like Commercial, industrial, and retail sites are all in need of a snow plowing company because it can be too tedious and a waste of a day shoveling 2 feet of snow. Other large enterprises such as shopping centers, malls, plazas, hotels, medical buildings, and other facility, are all in desperate need of professional snow plowers when the winter comes. 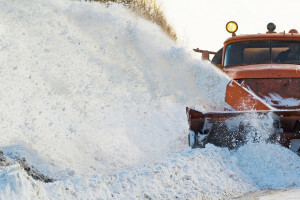 Multiple benefits from hiring a local snow plow company, prove that this is the ideal option. 1)The assurance that site operations will not be interrupted just because of the snow. 2)The reduction of any liabilities that are related to the snow and ice. 3)The benefit of both a snow plow as well as a de-icer, both consolidated into one business. 5)the clearing of both ice and snow in a quick amount of time without having to go outside or pick up a shovel. Especially in Ann Arbor, professional snow plowers are recommended!! Not only is this option the safer option, but it is also the quickest option. In February of 2015, Ann Arbor had received two feet of snow. Now imagine plowing through two feet of snow by yourself. Not only does it take time out of a productive day, but it takes so much effort that by the end of the day all you would have done was shoveling more and more snow. The city of Ann Arbor, when snow is present, for the most part plows to main roads and main attractions, however it has been argued that a snow plow company would be better to hire because the company would pay more attention to the smaller and lesser known parts of town. Local businesses, elderly facilities, and small shopping areas or restaurants are often missed when a city plow drives through. A hired snow plow company would take the time to go through every nook and cranny. For the professional snow plowers, this is their job. They are far more likely to do a better job than either the homeowner or the city plows.